I recently invited guest speaker Mark Butler to present to my mastermind group (no relation, but Butlers are cool!) Mark is a bookkeeper for professional coaches and a CFO to a select number of coaches with large-scale businesses. What often happens, he explained, is coaches think they’ll be more appealing to potential clients if they get more training and certifications. The truth is that, essentially, most coaches already have the experience, qualifications and certifications they need to create a great client experience and to attract new clients. But because they aren’t effectively attracting clients to their business, they think that one more training or set of tools will change that. Here’s the bottom line: If you focus on investing in the marketing and client enrollment areas of your business, you will attract more people. Find someone who can help you figure out how to message and market your business, or invest in Facebook ads and other paid strategies to attract prospects. (If running a paid promotion sounds scary, check out a course on Udemy.com, where you can learn all kinds of practical skills to grow your business for around $10). 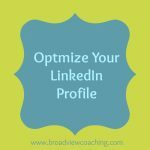 Spend time, energy and money improving your ability to get clients (and this may mean hiring a coach or mentor). Practice enrollment calls with your peers. 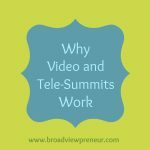 Wondering how to have the right clients be a powerful yes? 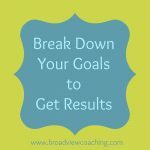 Click here to learn about my methodology for enrolling clients powerfully. This week, consider whether you are spending money in your business and if it is as effective as it could be. 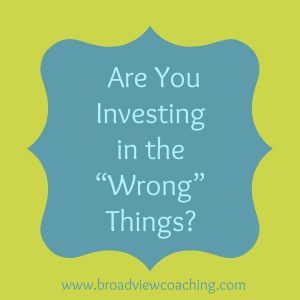 What could you change to get a better return on Investment? 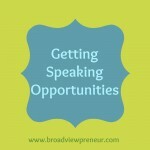 If hiring a business coach and mentor feels like it could serve you and your coaching practice, let’s chat! 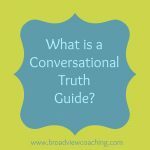 What is a Conversational Truth Guide?